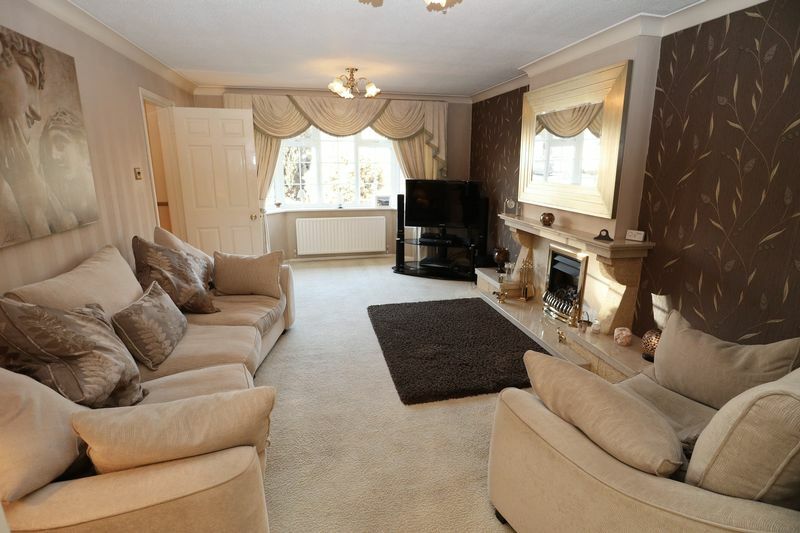 A beautifully presented and larger than average four double bedroom detached house located on a small and select development. 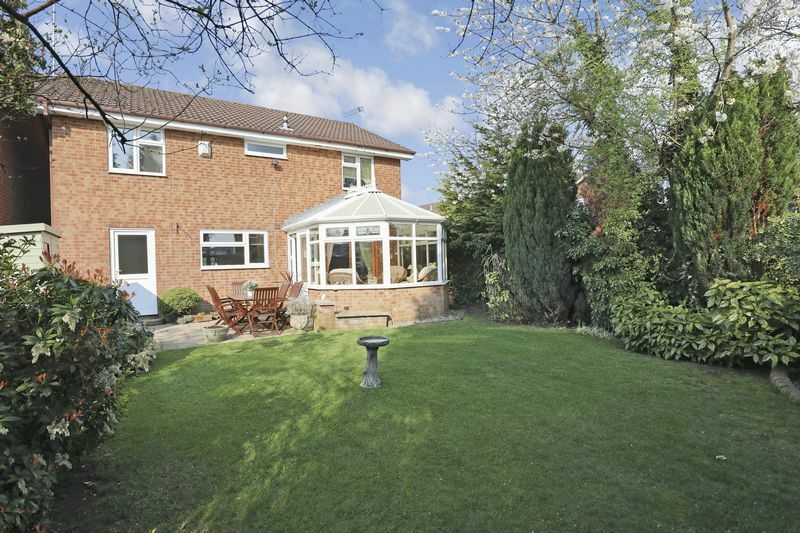 The proportions of this stunning home really do need to be seen and the amount of accommodation has been further enhanced by the addition of a conservatory extension to the rear. 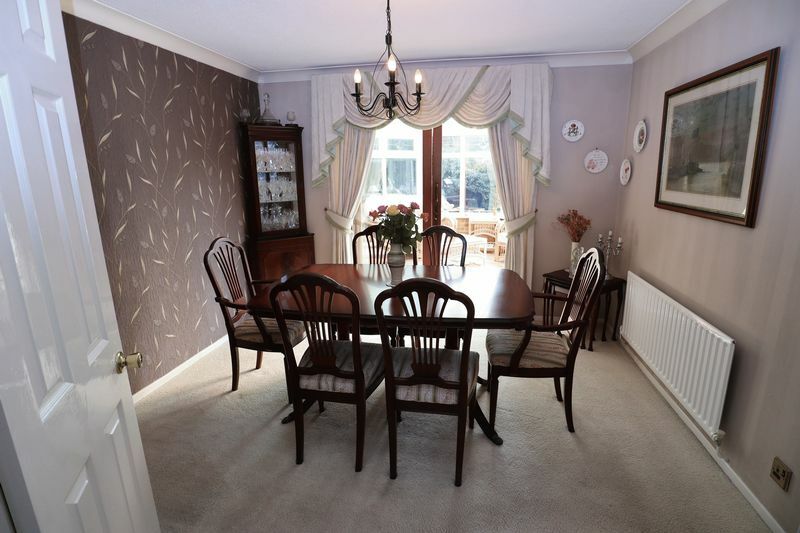 The living room is a very spacious being over 16ft in length and the vendors have had both the family bathroom and the en-suite re-fitted in recent times. 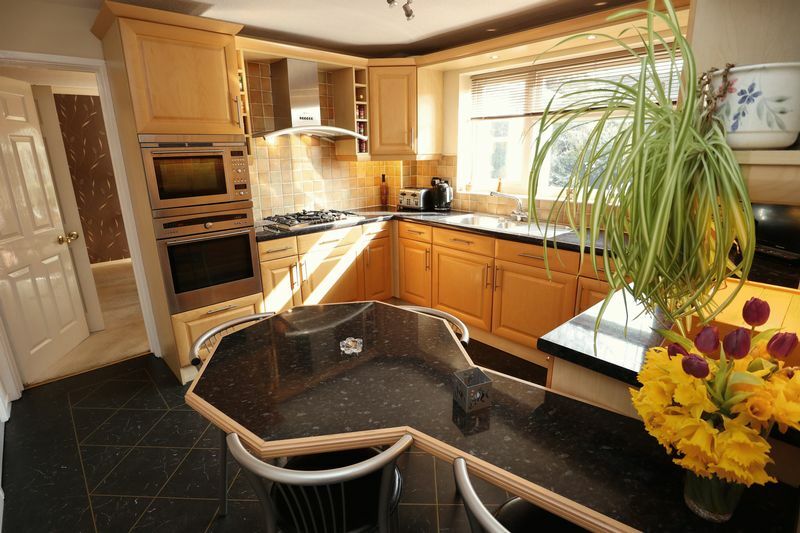 The kitchen has also been specked with high end integral appliances. 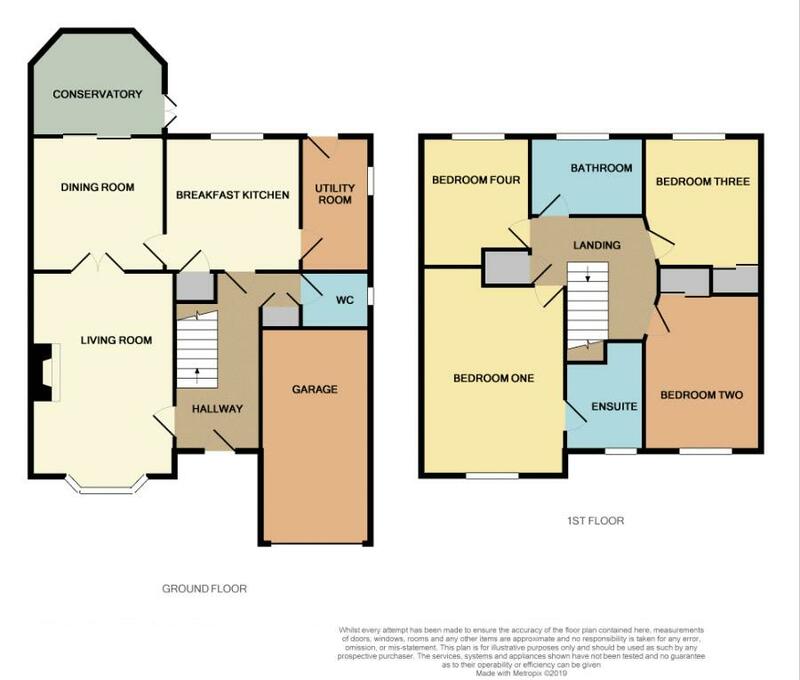 In brief the accommodation comprises; entrance hall, contemporary ground floor wc, large living room, dining room, conservatory, breakfast kitchen, utility room, spacious landing, four double bedrooms (the master suite is a particularly good size and has a very comprehensive range of fitted wardrobes and a modern en-suite) and the stunning family bathroom. 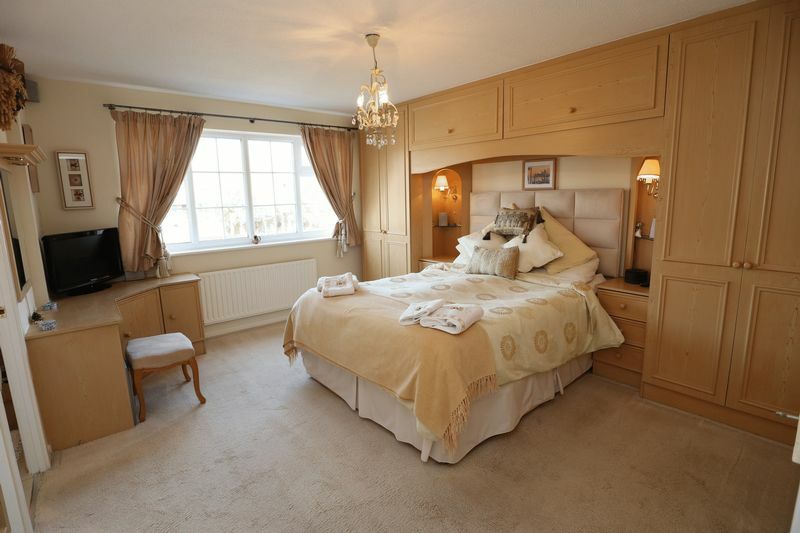 The other bedrooms also all benefit from built-in wardrobes. Outside to the rear there is a lovely garden with lawn and patio and to the front is a further pristine garden and large driveway, which leads to the attached garage. 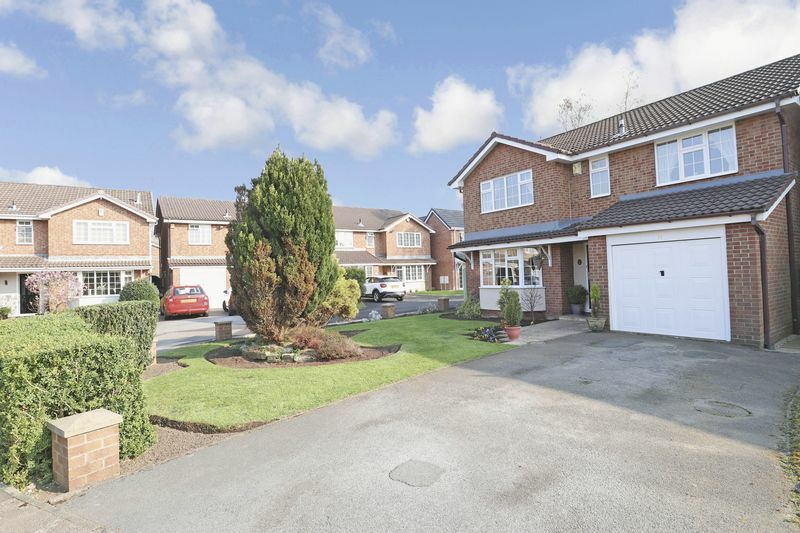 A bigger, better home at this price range within Macclesfield will be hard to find! 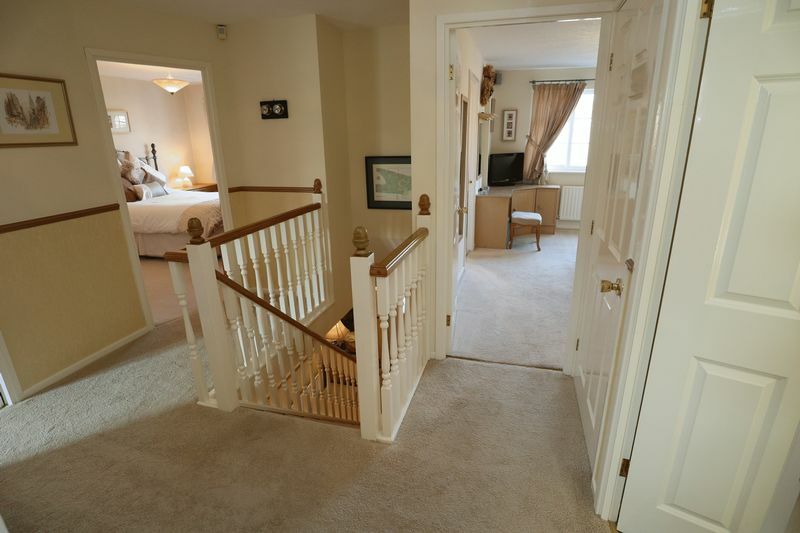 Call for a viewing to see for yourselves! 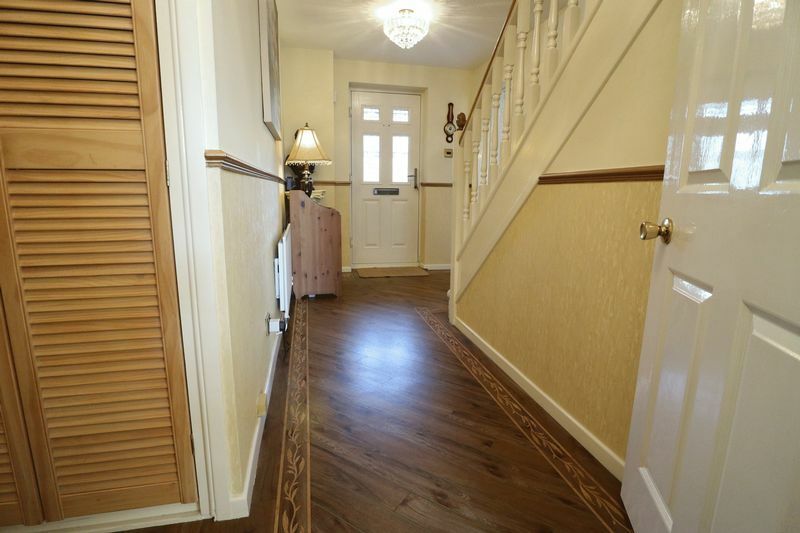 A spacious 'L' shaped entrance hallway with a composite front door, built in cupboard housing burglar alarm, radiator, Karndean flooring. 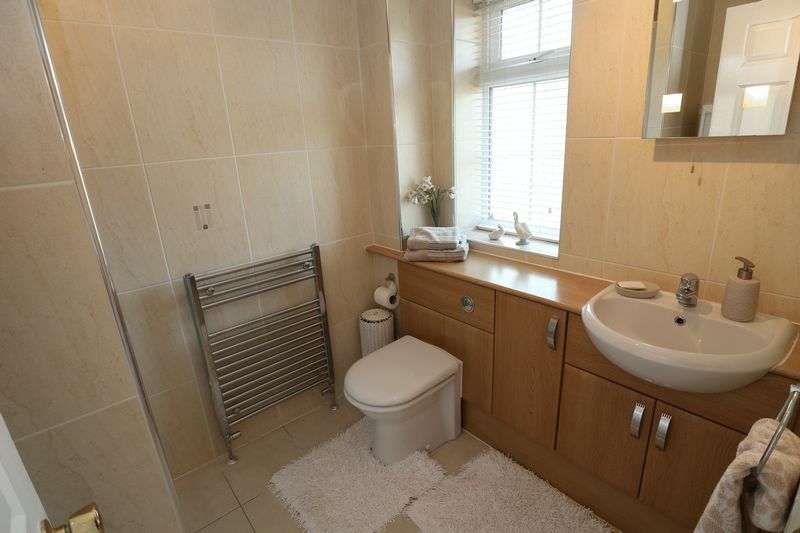 Modern suite comprising of a concealed cistern wc, vanity sink unit with mixer tap and storage below, Karndean flooring, radiator, double glazed window. 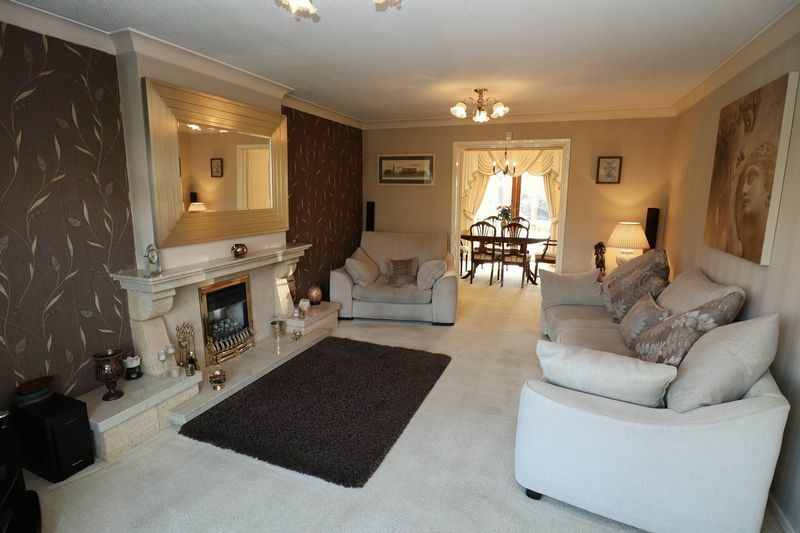 Double glazed bay window to the front elevation, living flame gas fire with a Swindells French stone and marble hearth/surround, tv point, radiator and double doors leading to the Dining Room. 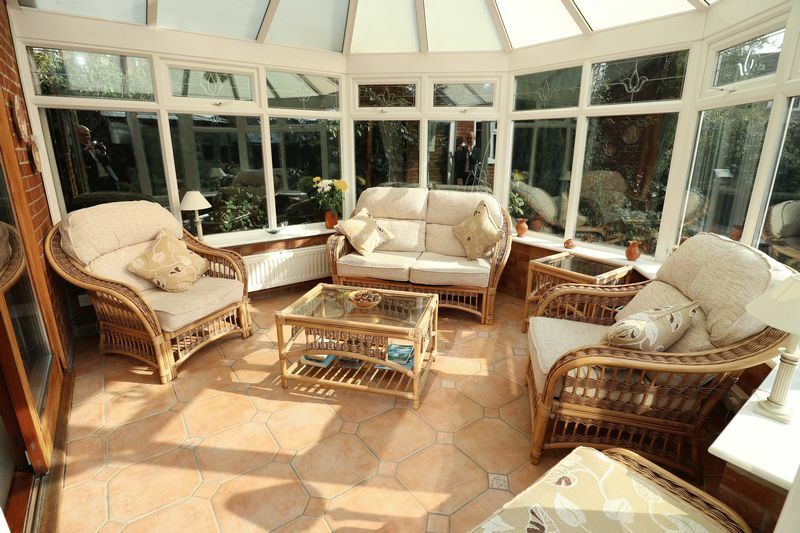 Double glazed sliding patio doors leading to the conservatory, radiator. 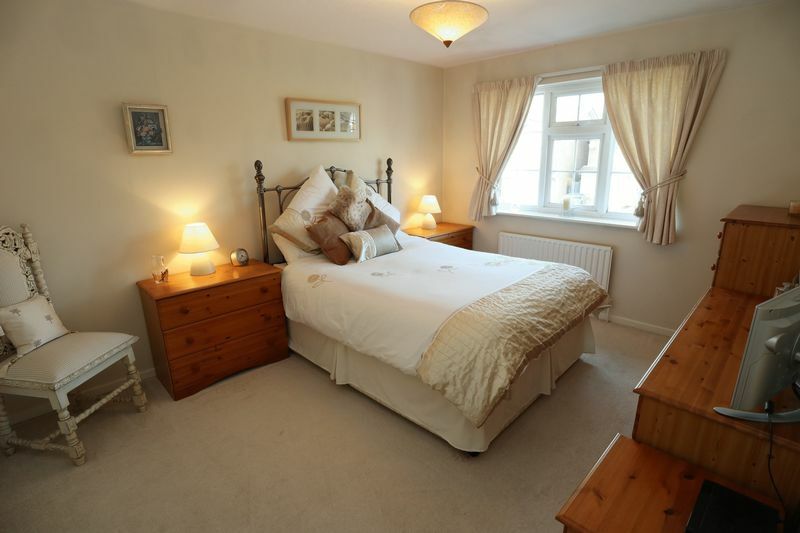 Double glazed windows and double doors leading to the garden, tiled floor, radiator, fan light. Attractive fitted kitchen with units to base and eye level, under-lighting, pelmet lighting, sink unit with mixer tap, Neff five ring gas hob with extractor over, Neff integral microwave oven and electric oven, integral Bosch dishwasher, integral Neff fridge, under stairs storage cupboard with shelving, fitted breakfast bar, radiator, Karndean flooring, double glazed window to the rear elevation. Fitted base and eye level units, plumbing for washing machine, space for American fridge freezer, double glazed window to the side elevation and double glazed door to the rear, radiator. Airing cupboard, access to a boarded loft with light. 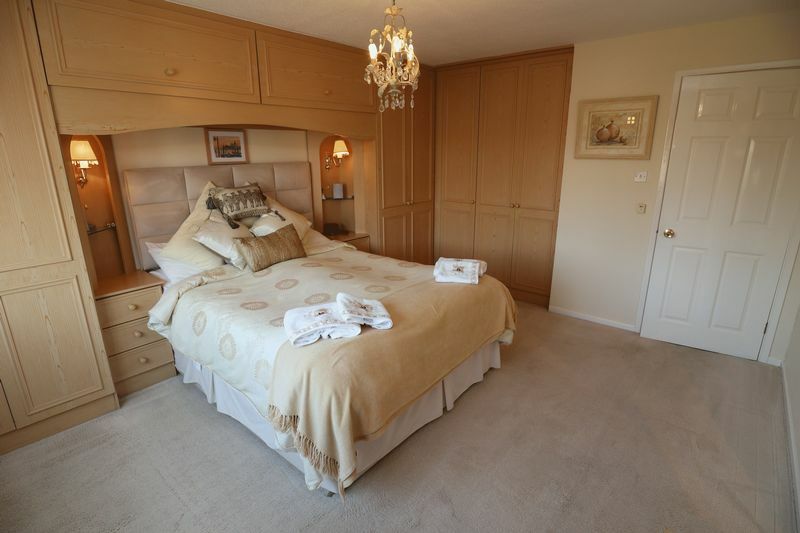 A great sized master bedroom with double glazed window to the front elevation, a range of fitted wardrobes, bedside cabinets with drawers/shelving and a fitted dressing table. 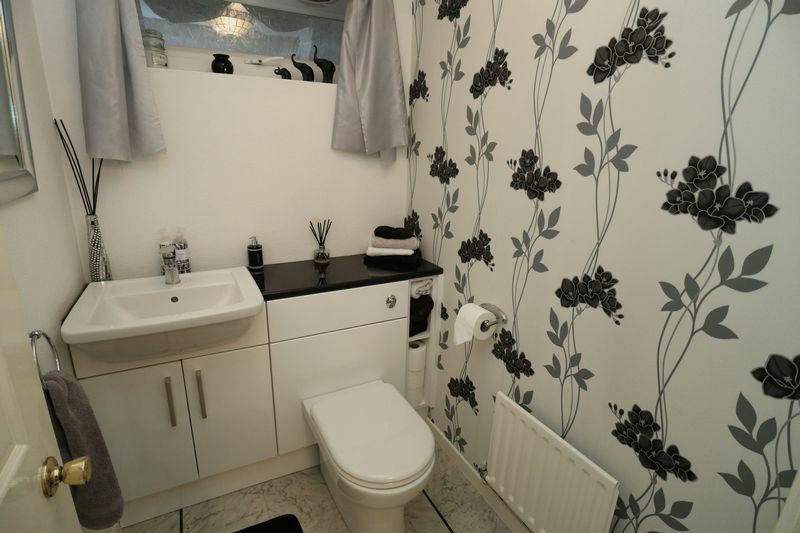 Modern re-fitted suite with shower enclosure with mixer shower over, vanity sink unit with storage beneath, concealed cistern WC, chrome ladder radiator, tiled walls, tiled flooring, double glazed window to the front elevation. Double glazed window to the rear elevation, radiator, built-in wardrobe. 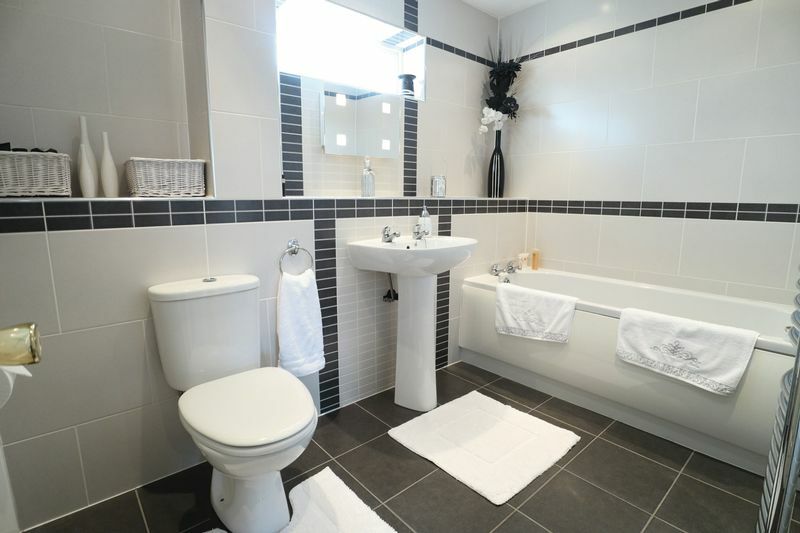 Re-fitted with a modern white suite comprising panel bath, pedestal hand basin, push button wc, ladder towel radiator, tiled walls and tiled flooring, double glazed window to the rear elevation. 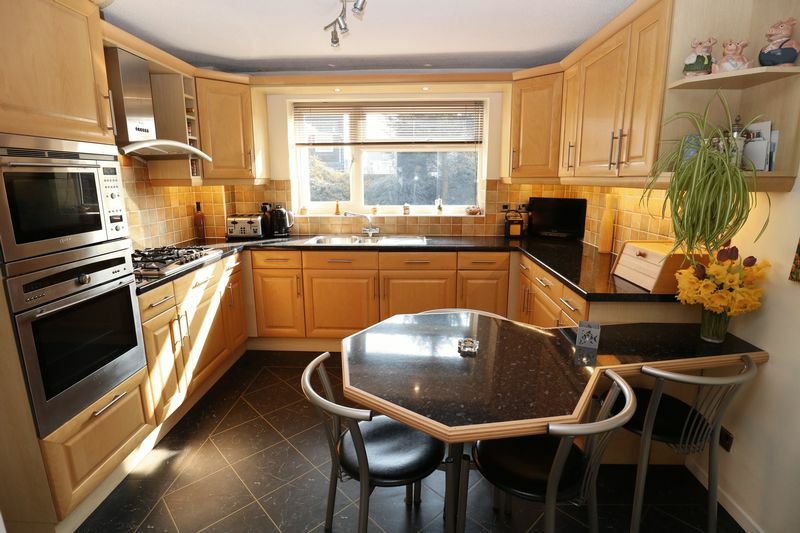 To the front of the property is an attractive lawned garden area and driveway leading to the attached garage. 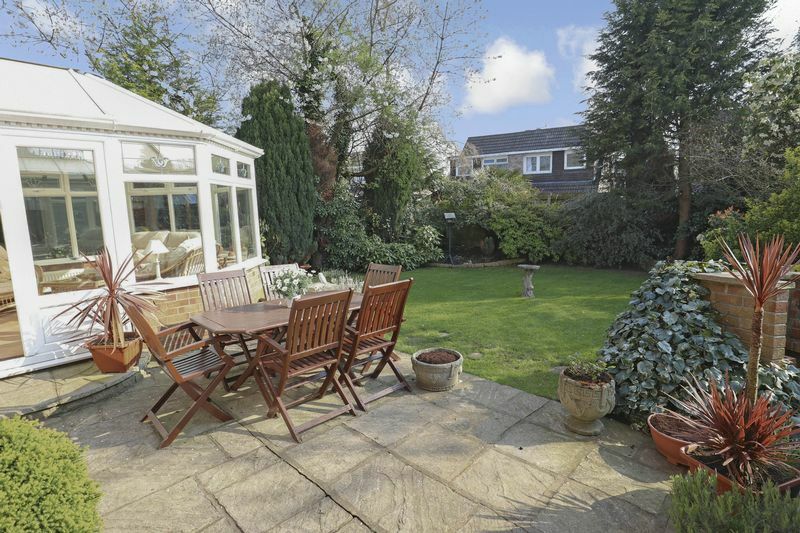 To the rear of the property is a pleasant garden being laid to lawn and with a patio area. The rear garden has fencing and mature trees. There is also a brick built BBQ and flood lighting. 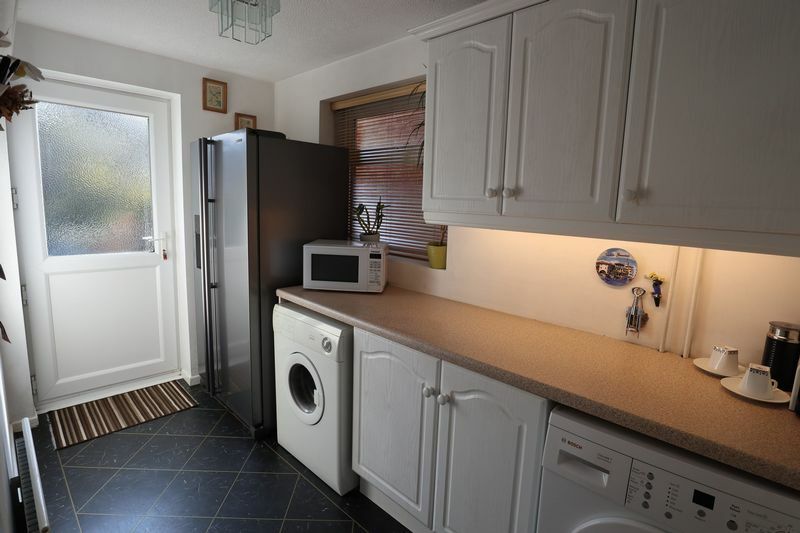 The garage has power and light, Worcester gas central heating boiler and shelves.